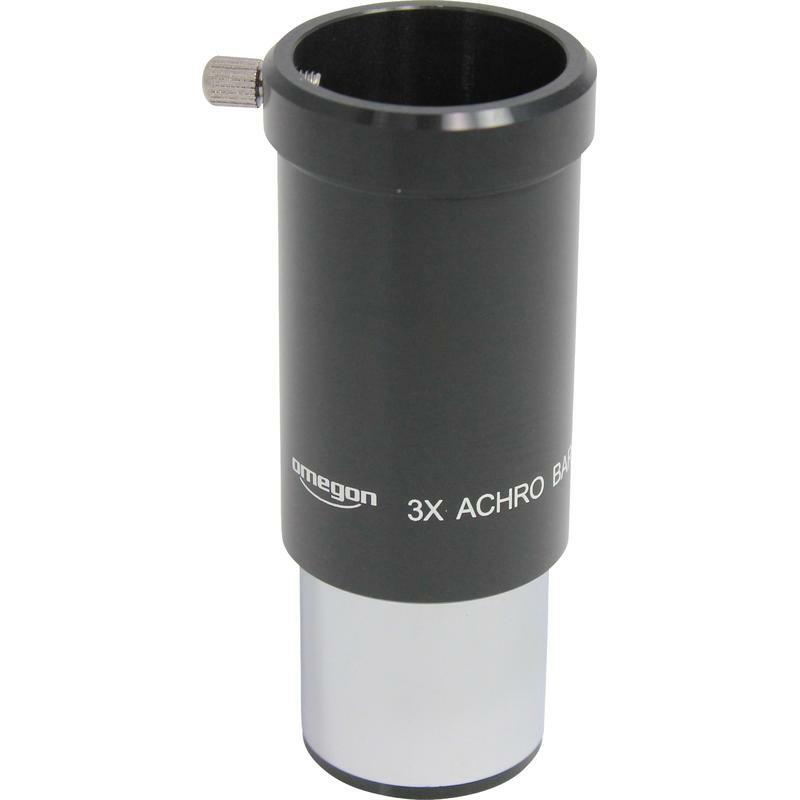 Home > Telescope accessories > Barlow & Erecting Lenses > Barlow Lenses > Omegon > Basic > Omegon 3x Barlow lens, achromatic, 1.25"
The Omegon 2x/3x Barlow lens trebles the magnification when used together with an eyepiece. 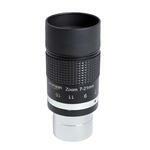 The 1.25" eyepiece is simply inserted into the Barlow lens and secured with the side locking screw. You then insert the complete assembly into the focuser. For example, if you normally get 20X magnification with your eyepiece, this is then increased to 60X with the Omegon Barlow lens. If you want to initially do without having to acquire a complete set of eyepieces, then this Barlow lens fits the bill. 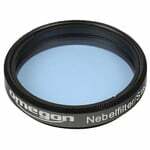 You increase the focal length of your telescope with the Omegon Barlow lens but also simultaneously increase the image scale of the object. When you first put a webcam designed for planet photography into a telescope you notice just how miniscule the planets are imaged. The Omegon Barlow lens increases the focal length, thereby increasing a planet's image size. Only now you can you start to make out details on a planet's disc. A must for planet imaging! 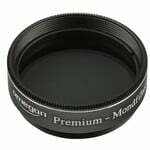 The Omegon Barlow lens has an achromatic doublet which provides a good image to start with. 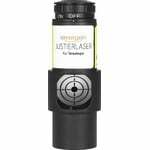 In addition, green multi-coating then ensures the reduction of any unwanted reflections. Even at first glance one can see that this relatively inexpensive Barlow lens has been manufactured to a very high quality. No plastics have been used, as is the case with some other lenses - the housing is entirely metal. The field lens has a large diameter of 25mm. The weight of this Barlow lens is not a factor, as it does not even weigh one hundred grams, and it is also very compact. 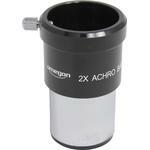 Omegon Super Ploessl zoom shot eyepiece 7-21mm APO 1.25"
Omegon 2x Barlow lense, achromatic, 1.25"